Radio frequency interference is universally regarded to be a major problem in high quality audio and video replay. As all cables act as antenna and attract RFI, it was vital to provide an affordable solution to this problem whilst maintaining neutrality within the cable design. All IsoTek cables are built by hand to extremely high standards. Elite Mains Cables provide a solution without sacrifice to the audio signal. Three high-grade cores of annealed Oxygen Free Copper conductors are encased in a highly flexible PVC inner sheath surrounded by a braided screen. This earthed screen forms an active RF shield around the inner cores. The effect is a reduction in the background mush within the system, producing a more open airy sound with a greater sense of high frequency detail. Rated at 16A, makes this cable ideal for all components especially power amplifiers, power supplies and of course mains conditioning devices. 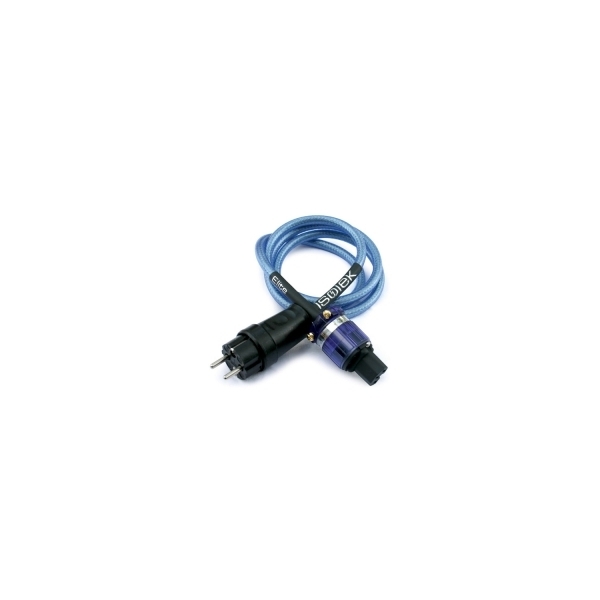 The Elite Mains Cable also features IsoTeks unique 24ct gold deep cryogenically treated IEC connector. 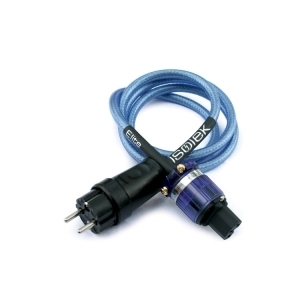 This allows for maximum power transfer, long-term reliability and performance. 24ct gold deep cryogenically treated IEC connector. This allows for maximum power transfer and performance. All conducting surfaces deep cryogenically treated and demagnetised.